Some commercial banks have entered a new interest rate hike race to lure medium- and long-term deposits, pushing the rate to a record high of more than 9 percent per year. 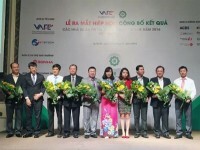 VPBank announced it has offered a rate of 9.2 percent per year for five-year certificates of deposit. VietA Bank has also listed a high rate of 8.2 percent per year for certificates of deposit with tenure of just six to 18 months. The rate at Sacombank is also at 8.2 percent per year; however, it is applicable for certificates of deposit with tenure of 5-7 years. The rate is much higher than the average deposit interest rates offered by other commercial banks. Currently, State-owned commercial banks offer a rate of 6.5-6.8 percent per year for long-term deposits, while it is 7-7.5 percent at large-sized joint stock commercial banks and 8-8.2 percent at small-sized banks. Analysts attribute the hike to factors such as the need for medium- and long-term funds to grow lending this year. Many experts anticipated the scenario and warned there would be rising demand for long- and medium-term funding after they saw the economy clearly recovering and the Government signing a series of bilateral and multilateral trade agreements, which is likely to increase businesses’ demand for funds. Another reason is that 80-90 percent of deposits currently are short-term while demand for long- and medium-term loans is growing rapidly. 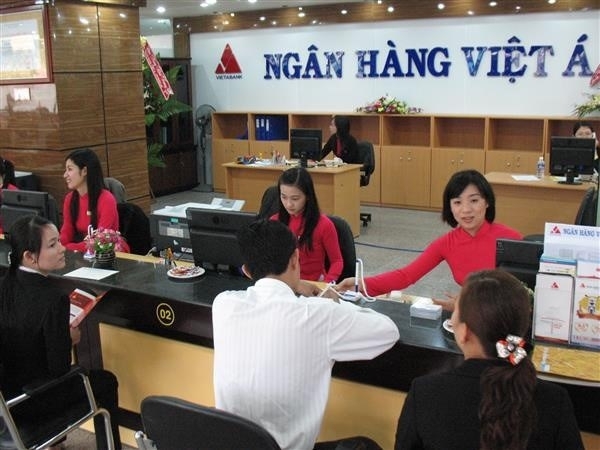 State Bank of Vietnam (SBV)’s HCM City branch reported that last year the ratio between short-term and long- and medium-term loans was 44:56 percent. It is normally 50:50. In addition, SBV’s amendments to Circular 36/2014/TT-NHNN reducing the ratio of short-term deposits that can be used for medium- and long-term loans from the current 60 percent to 40 percent has caused deposit interest rates to rise. Besides this, the risk weight for loans to the real estate sector has also been raised to 250 percent from 150 percent since 2017. As a result, banks have been forced to hike interest rates on long-term deposits so that they have enough funds to provide long- and medium-term loans. Expert Bui Quang Tin said the interest rate hike would put pressure on the central bank’s monetary management this year, especially when the central bank has to meet the three targets of controlling inflation, keeping foreign exchange rate and interest rate stable. Tin was also concerned it would be hard for lending interest rate, especially medium and long term, to be steady in the wake of the deposit rate hike. Both lending and deposit rates would rise by roughly 0.5-1.5 percent per year this year, he forecast.